NEW YORK As Wall Street remakes itself on a former rail yard in the far west of Midtown Manhattan, one surprising name is leading the way. Wells Fargo & Co (WFC.N), the San Francisco-based lender known for its retail banking business, has picked out space for a trading operation to use as a base for a stealth attack on the investment banking world. The bid for more capital markets business - from advising on deals and security issues to trading derivatives - is a potentially risky move by the third-largest U.S. bank by assets. The boom-and-bust of Wall Street offers lucrative fees if Wells Fargo can pick up business left behind by rivals in the wake of the financial crisis of 2008, but trading brings extra risks and volatility. Jonathan Weiss, who runs Wells Fargo's investment banking and trading division, said the bank's plans were deliberately low-key. "We're not getting into things that are going to rapidly or dramatically change our business, " he told Reuters in a phone interview earlier this month. "It's just a consistent, slow build-out. Add a person here, add a person there." Despite Weiss's muted tone, Wells Fargo has made some headline-grabbing moves. 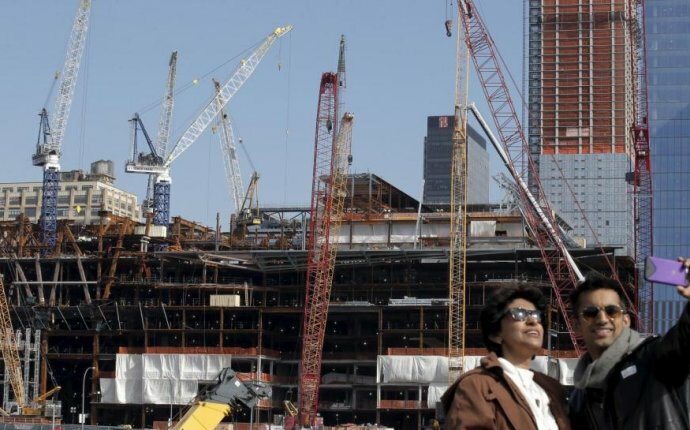 In December it announced a deal to buy 500, 000 square feet - or 10 football fields - of trading and office space at Manhattan's Hudson Yards development. Its neighbors will include private equity firm KKR & Co and media titan Time Warner Inc. Earlier this month it clinched what is expected to be its most lucrative mergers and acquisitions (M&A) assignment in at least a decade. And it has acquired a license to trade credit derivatives, so it can take advantage of revival in demand for a product starting to overcome its association with the last financial crisis. Wells Fargo built itself into the world's most valuable bank - with a market value of $243 billion - in the wake of the financial crisis partly because it did not rely on risky trades or complex derivatives to turn a profit. Its quiet approach may be an acknowledgement that investors are wary of potentially risky Wall Street business and may mark down its shares, which currently trade at a premium to other big U.S. banks such as JPMorgan Chase & Co (JPM.N). "If I felt the bank were making a big investment banking push, they would need to do a good job of explaining why it has not made them riskier, " said Thomas Russo, managing member at Gardner, Russo & Gardner, the bank's 43rd largest shareholder. "Otherwise, I would have to revisit the holdings." Weiss said there was no cause for alarm. "Our pace of growth is not so significant relative to the overall growth the bank has experienced that shareholders need be concerned that somehow we're growing some massive set of risks, " he said. Wells Fargo's largest shareholder, Warren Buffett - who has criticized the financial system's excessive use of derivatives - seems to be on board with the bank's plans. His Berkshire Hathaway Inc has increased its stake to 10 percent according to regulatory filings on Monday. Buffett declined to comment on whether he thinks the bank will become a riskier investment. Wells Fargo is still focused on its traditional business of lending to consumers and corporations and managing people's money. Trading and investment banking accounted for just 4.6 percent of Wells Fargo's 2015 revenues, with part of the trading coming from outside the securities division, according to a spokeswoman. That compares to about 26 percent for JPMorgan, counting only trading in its investment bank unit, according to its year-end earnings. Wells Fargo sees market share up for grabs as lenders such as Deutsche Bank AG (DBKGn.DE) and Barclays Plc (BARC.L) cut back their investment banking business in response to tough post-crisis regulations.